After Han Solo, who should RIP next? After killing off Han Solo in Star Wars: The Force Awakens, it seems like Harrison Ford should start killing off all of his old iconic characters, too. Ford was paid a Millennium Falcon-sized chunk of money to return to the galaxy far, far away so he could portray Han Solo’s death onscreen. And now, it’s possible that something similar will happen when Ford returns to play the iconic robot-hunting detective named Rick Deckard. If Rick Deckard dies in Blade Runner 2049 a pattern will have officially formed. At San Diego Comic-Con this year, Harrison Ford revealed that he wants to reboot all of his old franchises, which means we should probably get ready for several epic cinematic Ford deaths in the next several years. With Blade Runner 2049 looming in the near future, and more, here the seven iconic Harrison Ford movie characters who should die next, ranked. Detective John Book spends Witness protecting a young Amish boy that witnessed a murder, and along the way he falls in love with the boy’s widowed mother, Rachel. He also discovers that he might prefer the honest, hard-working lifestyle of the Amish over the corruption that pervades every level of the “civilized” world. Ultimately, he rejects his attraction to Rachel and leaves — but what if he didn’t? 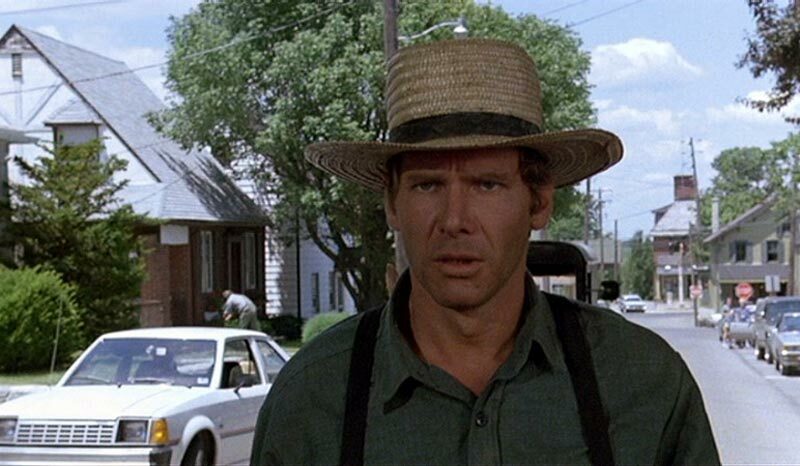 Ford should return as an aging Amish carpenter, right? The two cops find themselves in the midst of a yoga class. One of the first movies in Ford’s IDGAF twilight era also seemed to help ruin Josh Hartnett’s career as an actor, which is ironic because Hartnett’s Detective K. C. Calden moonlights as a struggling actor. Similarly, Ford’s Sergeant Joe Gavilan works as a real estate broker to make ends meet in Los Angeles, where the two are partners on the LAPD. Hollywood Homicide is a seriously weird, but fun, movie that also includes a psychic informant that helps the pair solve a series of murders. What if the modern day saw Gavilan murdered as the original killer resurfaced? We mostly just want to see Ford with a scraggly beard again. 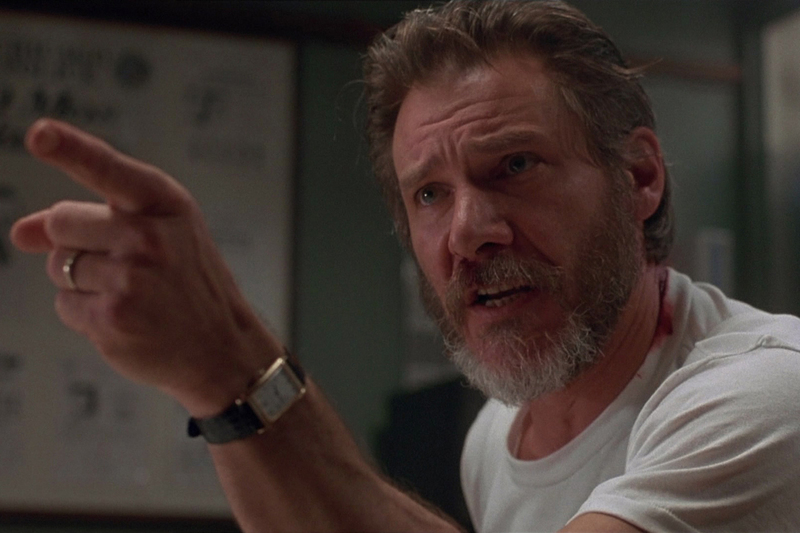 Is Ford’s character the good guy or the bad guy in The Fugitive? Part of the films great success is owed to the dynamism Ford brings to the role of a vascular surgeon framed for murdering his own wife. Astonishingly, he’s able to evade police like a superspy. Perhaps Kimble has a future working alongside Tommy Lee Jones’s character as a U.S. Marshall? There were rumors back in 2015 that a direct sequel was in development from Warner Bros., but it’s unclear what happened to the plans and whether or not they would involve Ford. 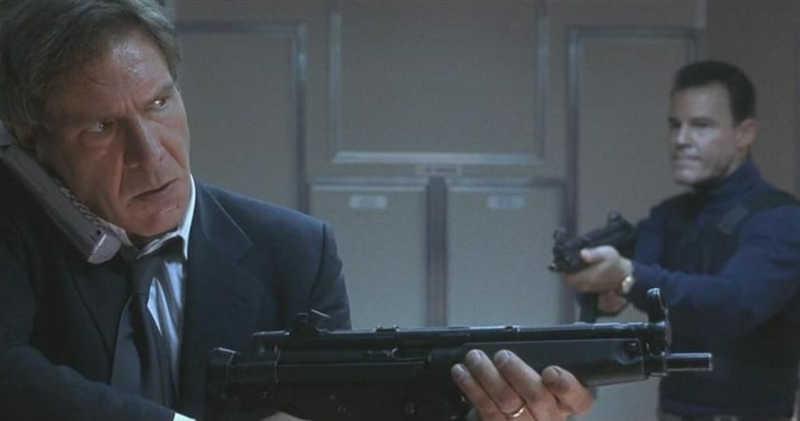 There can only be one definitive Jack Ryan. 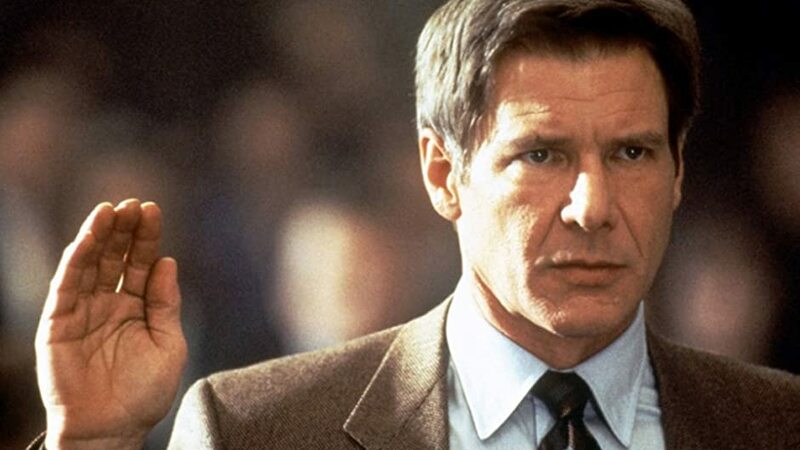 Alec Baldwin, Ben Affleck, and Chris Pine have each assumed the role of Jack Ryan in their respective films, but nobody embodied the reluctant but badass heroism of the character like Harrison Ford’s version in Patriot Games (1991) and Clear and Present Danger (1994). There are quite a few Jack Ryan movies, but even more books by novelist Tom Clancy. In some of them, Ryan is an aging millionaire that serves two separate terms as President of the United States. Who wouldn’t want to see Ford revisit one of his more iconic roles to die as a potentially retired President? We need more badass presidents. Speaking of Ford as a President: Remember when he played the President aboard Air Force One that fended off terrorists by himself? Would this be called Air Force Two and feature an aging former president fighting hijackers on a different plane? Or just Air Force One Two? Either way, U.S. law prohibits any person from holding the office of the President for more than two terms, so James Marshall is likely retired by now. Wouldn’t it be incredible for him to go out in the blaze of glory on one more airborne battlefield? "When did this series become about aliens?" 2. Dr. Henry “Indiana” Jones Jr. — Raiders of the Lost Ark, Indiana Jones and the Temple of Doom, et al. 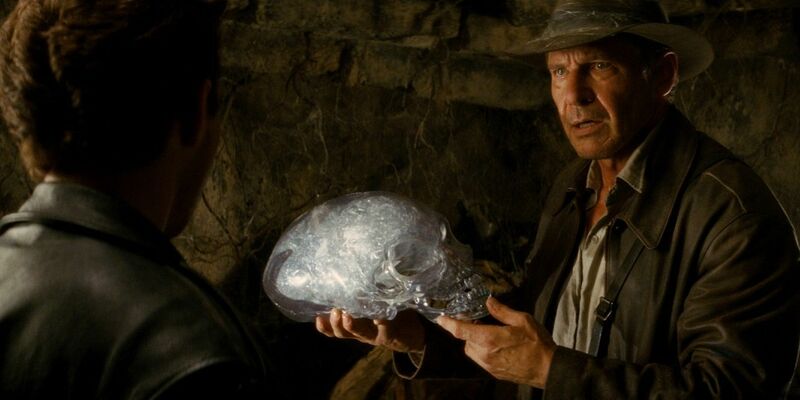 The rumor was that Ford would pass the Jones mantle down to Shia LeBauf’s Mutt Williams in Kingdom of the Crystal Skull, but after the dismal critical response to the film, that plan was dead on arrival. They missed the opportunity to kill Indy, but with an Indiana Jones 5 potentially in the works, there’s no better time to say goodbye to the hero and end the franchise for good. Deckard runs from an explosion with Officer K.
Is Deckard a replicant? Blade Runner 2049 will supposedly settle the debate once and for all, and the best way to do that would be to have it escape Deckard’s lips with his dying breath.